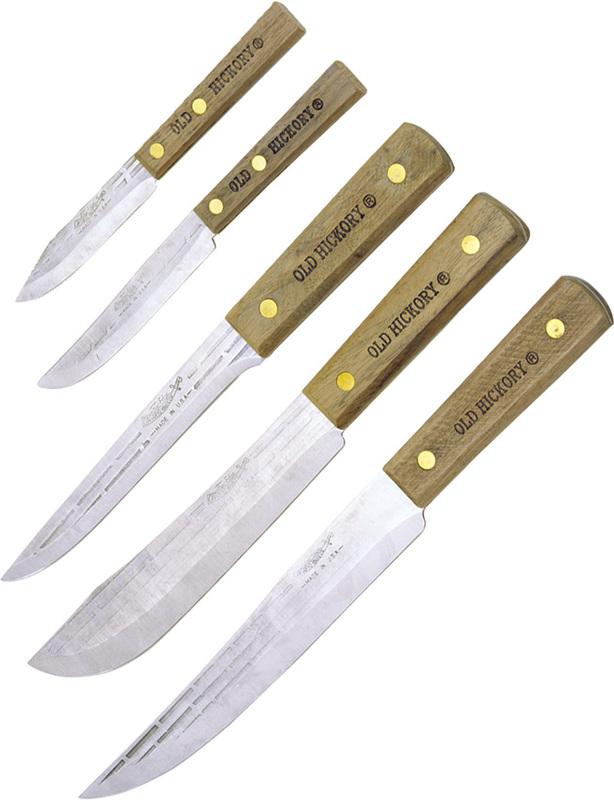 Contains 8" slicer, 7" butcher, 6" boning, 4" paring and 3 1/4" paring. 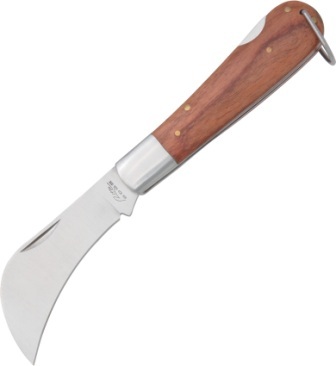 Knives have high carbon steel blade and hickory handles. Made in the USA. Q: Are these blades full tang? A: Thank you for your inquiry. Yes these are full tang. Log in and purchase this item to be earn 53 points. Learn about Rewards.